Watch videos of the symposium! The Thinkers' programme on ‘Flanders, Belgium and CERN’, initiated by the Class of the Natural Sciences and led by Walter Van Doninck (former Vice President of the CERN Council and Thinker-in-Residence) aims to analyse and reflect on the scope and role of CERN for Belgium in general and Flanders in particular. Supported by a Steering committee of the Academy the programme will focus on the scientific return (scientists at CERN, fundamental vs. applied research, targets, …) as well as on the industrial return (tenders, ILO’s, …). CERN (European Council for Nuclear Research), located in Geneva, Switzerland, is a research laboratorium that operates the worlds most powerful accelerator, the Large Hadron Collider (LHC). Founded in 1954, it was one of Europe's first joint ventures and now has 22 member states. In July 2012 the institute announced the detection of the Brout-Englert-Higgs Boson particle. Walter Van Doninck (°1948) is emeritus professor particle physics at the University of Brussels (VUB). He studied at RUCA (Antwerp) and VUB. In 1977 he obtained his PhD from VUB. 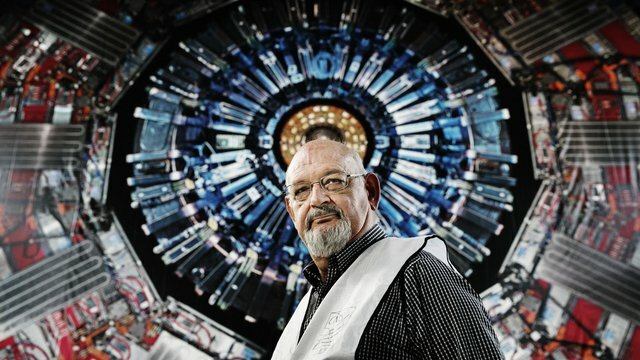 Since 1992 he participated in the CMS experiment near the accelerator LHC at CERN. He was research director at the Fund for Scientific Research (FWO) and vice-president of the Council of the European Centre for Nuclear Research (CERN). In 2014 Van Doninck was elected as a foreign member of the KVAB.